"As a self employed first home buyer I found the number of lenders and options completely confusing but after a meeting with Kirsty Withecombe from Home Loans Now I was able to compare several lenders at the same time and chose the best deal for me. Thanks Kirsty!" "I just didn't have the time to go to the bank during working hours so after contacting Debbie Cullen at Home Loans Now she did all the work for me for free!" "As a small private investor I greatly value having found a finance broker with whom I can continue to grow. Kirsty Withecombe has serviced my mortgage needs since 2000, arranging $4m of funding for residential investment. Her outstanding expertise has delivered solutions that enable continual portfolio expansion and even cashflow management. Kirsty's easy professionalism, accessibility and integrity deserve the highest recommendation. 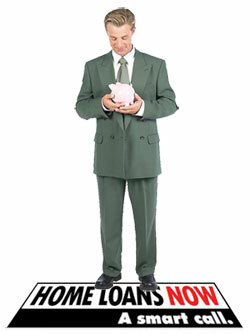 My sincere thanks to the whole team at Home Loans Now." "We broke a long habit of dealing directly with the lending institutions, and saved so much time on the exercise. Thank you Home Loans Now!" "My Consultant (Sara Allard) was very clear and concice, she also had a good knowledge of loan availability. She was also very helpful with her explanation of loan rates of perspective lenders." "She (Sara Allard) has been absolutely on the ball and has gone way beyond her duty to help us - especially during settlement period and after. You have one of the best consultants around and I hope you value her as she is one in a million." "The [Home Loans Now] consultant was very clear and easy to understand. He visited and phoned at every stage, and answered all of our queries with pleasure. As first-time (and very young) homebuyers we knew very little, but now I can say we feel very aware and confident about our decision. Thanks!"